If you promote an affiliate product (or even your own product), you can just copy the headline from the sales letter and then include a link to the sales letter. For example, if I wanted to promote a product like "The Super Ebook", I would copy the headline of the sales letter, and then paste it as my signature file. Then, I would include a call to action like "Click Here". Or, I would hyperlink the name of the product and then include the headline of the sales letter. If the product is yours, use the name of the product hyperlinked as I just explained. If you are an affiliate, you can use a "blind" promotion and not mention the name of the product. Let curiosity get the best of people and then click on your link. Or, you can create a short, sweet and controversial description of the product you promote. Adsense Arbitrage Voodoo: The dirtiest Adwords and Adsense tricks ever told. Another thing you can do is set up a landing page and offer a positive review of the product you promote as well as an added bonus for people who purchase through your affiliate link. Especially if you have used the product yourself and have gotten great results, I can tell you that this can work extremely well. "I had tried everything and couldn't lose weight - but then I discovered weight loss pills xyz and I started losing fat like crazy. In 3 months I had lost 27 pounds of fat. If you purchase weight loss pills XYZ from the special link on this page, forward me your receipt and I will send you a special report with the exact exercise program I used to lose all the weight.
" (And guess what – that special report can have affiliate links to exercise equipment you use. Think "monetize" every step of the way). I obviously used a short version of what you could say here - but I think you get the point. Special Offer For Members of Atkins Diet Board (that's it). Point that to a landing page that restates the fact that this offer is for members of the "Atkins Diet Board". Of course, you can do the same with another forum called "Super Fat Loss Forum": Special Offer For Members of Super Fat Loss Forum. And you would link that to a page mentioning a special offer for the "Super Fat Loss Forum." Another thing you can do is have several links to several different products separated by a "pipe" (|) - just click your right Shift button and the button immediately on its right.. There's no "law" that prohibits you from linking to more than one resource. You can have each link pointing to a different landing page of yours. You can use your desired "anchor text" in your signature file. So, if you do keyword research and you see that some specific keywords get many searches (and you can provide a solution or a product to point people who search for them to), you can use these very keywords to link to your landing pages. Over time, more and more links will be pointing to your landing pages. Links that will be on the same forum page (the same thread), different threads on the same forum or even several different pages across different forums you post on. The popular forums in your industry are considered huge authority sites and they have a lot of "weight" in the search engines. If you don't believe me, search for 10 random terms. You'll see that many times, some of the top results are nothing more than forum threads. Having these sites link to your page is a great "side effect" of you using a well-thought-out signature file. Many links from different authority sites can make your landing page(s) rank high on the search engines. If you suspect that a new product will start gaining popularity in your market (or if it's painfully obvious that this is the case), you can simply create a new landing page promoting that product and then add a link in your signature file to your new landing page. Similarly, if you want to target a new keyword in your market, for example "High Intensity Bodybuilding Workout", you can add the term High Intensity Bodybuilding Workout to your signature file and link to a review of an ebook about secret bodybuilding workouts from mother Russia that build inhuman muscle mass in 1 month with only 20 minutes, 3 times a week. Or whatever. Boom – just like that you can have hundreds of links pointing to your page. And those will grow "naturally" over time as you continue adding posts on forums. .. If you have a product in the "make money"/ "work from home" industry, another thing you can do in your sig file is promote your affiliate program. Link to a page talking about your product, why it's good and why people should promote it. You will get some good affiliates that way. Now, a signature file is like a very short classified ad. It needs to entice the viewers to click. So, what's another thing you can do to get ideas? 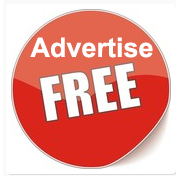 Simple: View the current ads on Google Adwords, Yahoo Search Marketing and Bing! Those people are PAYING for those ads - so you bet they have put some thought into them. http://www.google.com or http://www.bing.com and search for your main market term. See the ads that appear at the very top and the right of the screen. Note down the phrases in the ad that make you say "hey, this is smart!" Also, visit their landing pages. See what they are doing and, again you guessed it, note down good ideas you can use. See the products they promote. PPC is a cut-throat business. These people are paying good money - so their pages had better convert. I can guarantee you that some of the advertisers are making stupid mistakes and are losing money. But the value in doing all this is to get good ideas - not to blindly copy what they do. Create an “all star” landing page and an all star ad. And then get qualified traffic to your site cheap! Also, you can spend some time on the forum and actually see what other signature lines look like. And, you guessed it - you can look at ideas of how those signature lines are structured and the products that are promoted there! If you want to draw attention to your signature file you can have it be bold, italicized, coloured or even with a bigger font. Not all forums allow it but many do. I personally use just a normal font size and colour - but that's just me. Also, some forums allow you to add “smileys” in your signature file. An image will draw more attention and clicks to your signature file. Also, when people see a “happy picture” next to something (a link for example), they associate that link with pleasant things. This means that they will be positively preoccupied when they reach your site.